I don’t know who the target audience is (was) for this film. I don’t think the creators or the studio knew, either. It buries Kaufman's talent under a leaden script, so it isn't for his fans. It has a cutesy factor that might appeal to kids (assuming they aren’t bored to tears first), but it also has some very trauma-inducing imagery—like watching your parents “die.” There's also quite a bit of unnecessary cursing. WTF? And yet it’s far, far too boring for adults. So let's review: it's not for kids, adults, or the stars' fans. Who does that leave? The retro-robot audience perhaps...? Based on what research I could find, this film was allegedly created as a test vehicle for Andy Kaufman. The actor was shopping around a screenplay he wrote, but the studio wanted to see if he could carry a movie first before they would agree to green-light his. I don’t understand the logic in that, but that right there should tell you something about the logic of this movie. * You aren't a fan of plots, as there sure isn't one here. * The sight of waddling robots gets your heart thumping. * Watching said robots wander aimlessly around a forest for 70+ minutes is your idea of an extreme sport. * You’re a fan of character motivations as thin as the script they’re written on. * Worldbuilding, schmworldbuilding is your mantra. 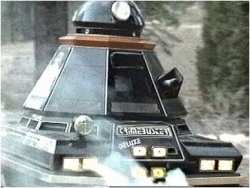 * You don’t find anything suspicious about the fact that Phil, the robot kid, sounds exactly like R2-D2. * You don’t think jokes that are legitimately funny should be a requirement for a comedy. * Watching towels dry is your idea of a swinging time. Am I being too harsh? 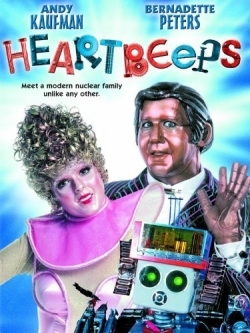 Was HEARTBEEPS visionary art simply ahead of its time? Nah. The late Andy Kaufman himself provided comedy that was way ahead of its time, but not this film. That would be giving it too much credit. 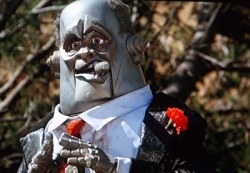 Once on the Letterman show, Kaufman promised to refund the price of admission to everyone who saw this monstrosity, which prompted Dave to reply, "Make sure you have change for a twenty." Still, it’s my duty as a science fiction romance ambassador to connect you with any and all relevant stories regardless of medium or quality. 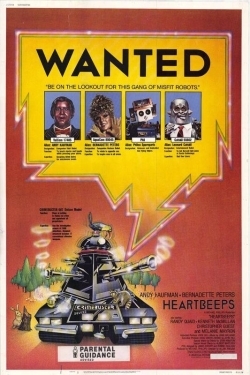 That said, HEARTBEEPS was really pushing it. Oy. But fear not, I will persevere!